The Knitting Seafarers purled into Great Cove again on Tuesday (September 4) and plaited out the next morning. We’re of course talking about one of the unusual (but apparently very popular) cruises on the historic J.&E. Riggin. During such occasional cruises, enthusiasts simultaneously knit and sail the Down East coast. 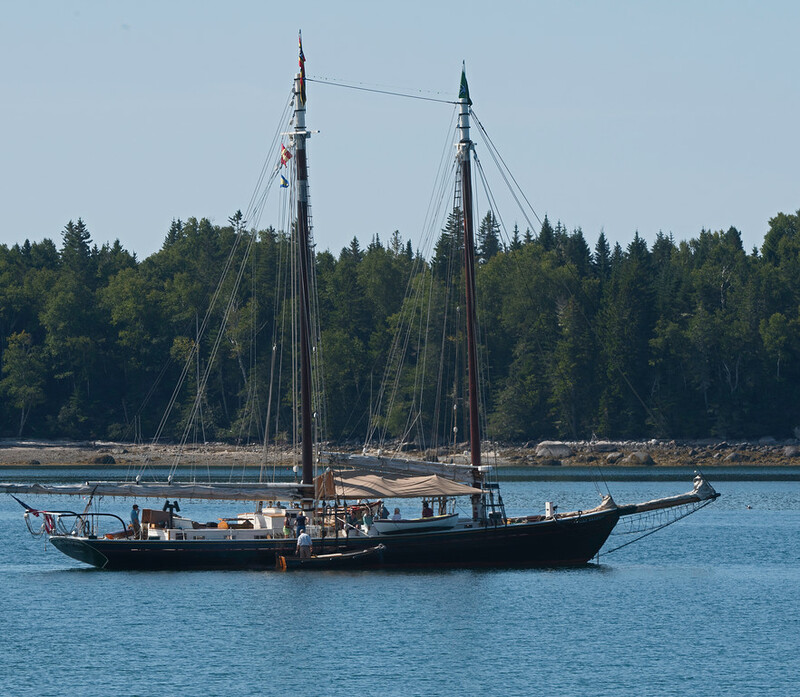 To some, sailing and knitting on a Schooner built in 1927 apparently is as natural a combination as peanut butter and jelly. lthough we initially thought that it might be more like ketchup on ice cream, we realized two things. First, knitting is a time-honored craft and, in the hands of some, an art. Second, doing just about anything when sailing Eggemoggin Reach is a good thing.